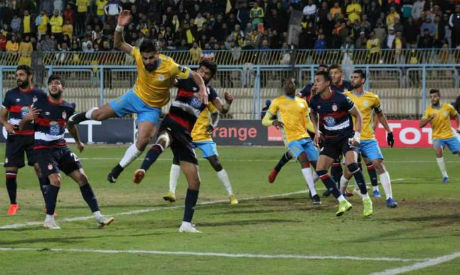 Egyptian side Ismaily were kicked out of the African Champions League after crowd trouble caused their group stage game against Tunisia's Club Africain to be abandoned last Friday, African governing body CAF announced on Wednesday. Cameroonian referee Neant Alioum called off the game in the dying stages after a lengthy stoppage as Ismaily's angry fans kept hurling bottles onto the pitch, with their side trailing 2-1. "The organising committee for inter-clubs competitions … has decided to implement the regulations of the competition and officially announce the elimination of Ismaily from total CAF Champions League," CAF said in a letter it sent to the Egyptian Football Association. "The overall results of the matches in which the team participated in are cancelled without prejudice to other sanctions that may be imposed by CAF Disciplinary Board." Ismaily are the second club to be expelled from Africa's flagship competition at the group stage in less than three years after Algeria's ES Setif, who were kicked out for similar reasons in 2016. With the crowd trouble showing no signs of abating despite repeated pleas from Ismaily's technical staff, Alioum decided to call off the match. After Ismaily's results were annulled, Algeria's CS Constantine now top the group with three points. TP Mazembe and Club Africain, who both beat Ismaily, have no points. The top two will advance to the Champions League quarters.